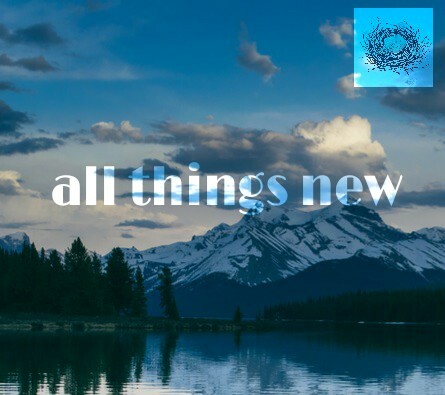 God makes all things new. The sunrise every morning, the sunset every night, the wildflowers in the field, the new greenery on the trees after winter, the uniqueness of each and every snowflake, a newborn child arriving into the world! Every day, we can see evidence of His newness around us, and not always acknowledge all the wonder in what He is doing. If God spends time carefully crafting everything He makes, imagine how much more so He is going to re-create and re-craft the children of His heart? He makes all things, including you and I, new! Feeling stuck in a rut? Ask God to make this verse come alive in your life, for God is known for making a way where there is no way. He is the Trail-Blazer of heaven, making His path clear for those who seek His way!